The India Fashion Forum 2018 (13th-14th March 2018) was a roaring success with participants across brands, retailers, thought-leaders, academicians and fashion intelligentsia drawn from across India and the world. 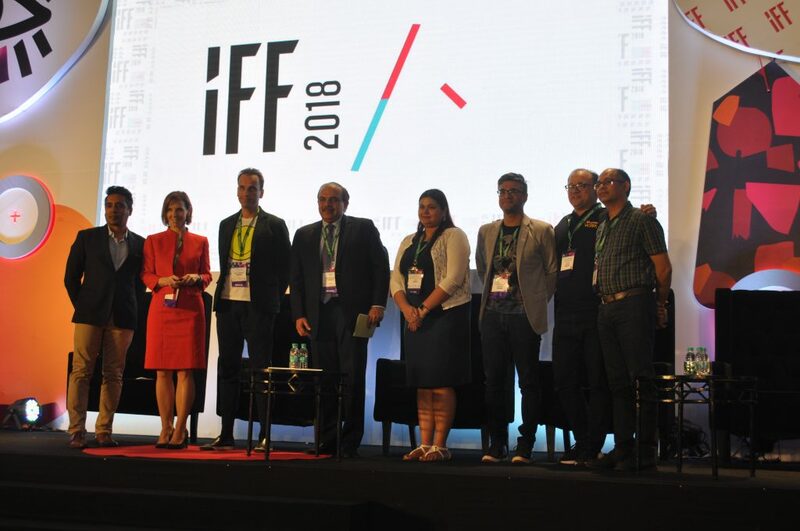 In a first, The Indian Fashion Forum partnered with Licensing Industry Merchandisers Association (LIMA) to shine a spotlight on the Licensing Business and how it has been on the forefront of driving growth in fashion. The panel discussion titled “Fashion Licensing: Driving Growth Globally and In India” had the luminaries of the licensing industry participate to highlight the role of licensing in fashion. Moderated by Jiggy George, Head of LIMA India & Founder and CEO of Dream Theatre, Ms Maura Regan Executive Vice President , Licensing Industry Merchandisers Association delivered the opening statement and the eminent panelists included Nicolas Loufrani, CEO of The Smiley Company, Sanjeet Mehta – Executive Director, Consumer Products, Disney India, Girish Kumar, Trading Head Shoppers Stop, Vivek Bali, COO, Sephora, Manohar Kamath – CXO and Head Myntra Fashion Brands and Shweta Pandey Director-Counsel, Head Legal & Member, Board of Directors, Target. The discussion was a engaging, interactive session and highlights included advantages of licensing versus creating own brands, the solid contributions of licensing in the e-commerce businesses, how licensing across fashion, entertainment and celebrity pods is helping retailers offer new products and connect with their consumers, challenges in the Indian industry and how retailers and brands can leverage licensing along with their own brands to create a strong product portfolio.